Model: Holy Stone HS170G Mini Drone. 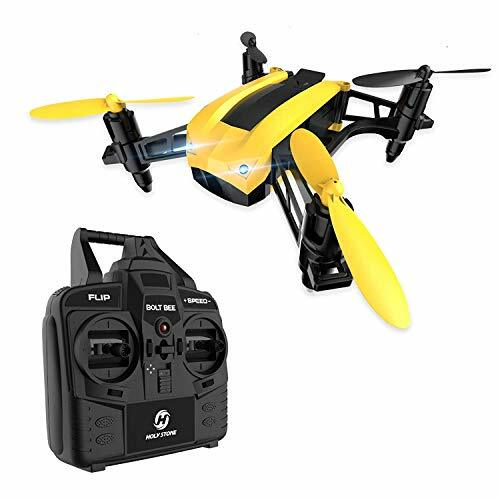 Target user for Holy Stone HS170G Mini Drone: People who wish to practice piloting in low light environments. Holy Stone HS170G is designed to fly at twilight. It has LED lights to help you follow it visually even in poor lighting. Summary: Holy Stone HS170 Predator Mini DroneThis Holy Stone HS170G is for beginners. 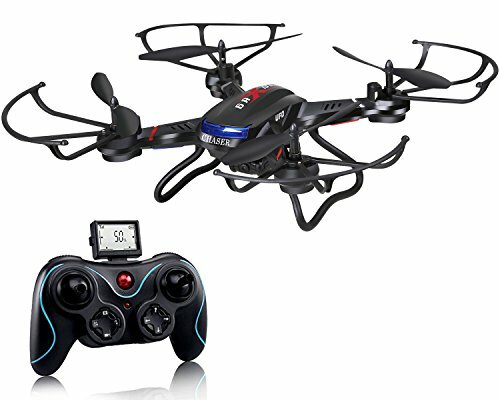 If you only have a few minutes to practice and it might be getting dark by the time you can get your quadcopter out and fly it, you wany to consider this mini drone. Model: Holy Stone HS150 FPV Racing Drone. This bright little quadcopter is quick and nimble. It executes turns very well. The color scheme helps to find it in tall grass and such. Designed for quick acceleration and changes in direction. Ideal for learning to race. Most racing groups have course setup that include pylons to go around a hoops to fly through. Train yourself to fly the racing courses by practicing with this quadcopter. Summary: Holy Stone HS150 racing dronThis Holy Stone HS150 is designed for beginner racers. Recommended for 10 years old +. Model: Holy Stone U818A RC Camera Drone. 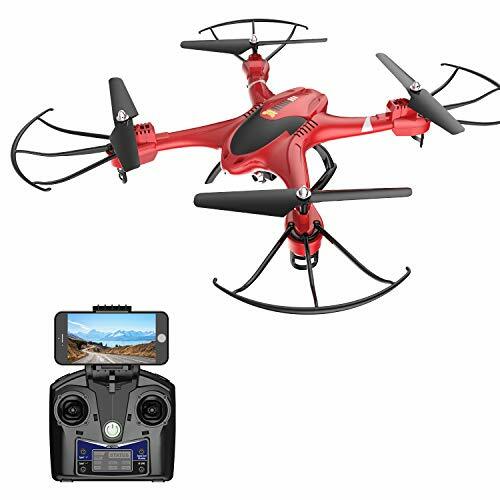 Target user for Holy Stone U818A RC Camera Drone: If you are buying a quadcopter for a child, this quadcopter is designed to fit your needs. 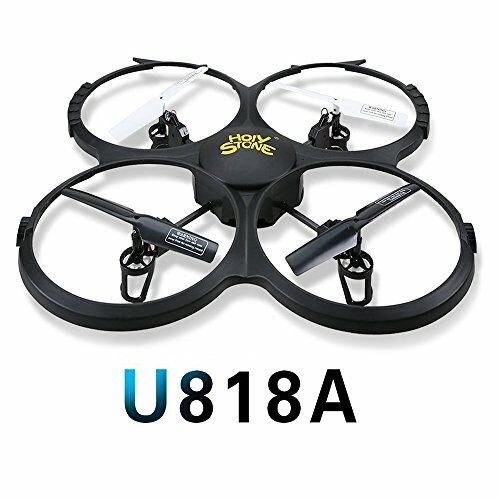 Holy Stone U818A is a starter drone for kids. This small FPV camera can provide valuable training. Excellent blade guards to protect little fingers. Flight time 6 – 9 min. Summary: Holy Stone U818A RC Camera DroneThis Holy Stone U181A is a drone suitable for kids – child friendly learning tool. 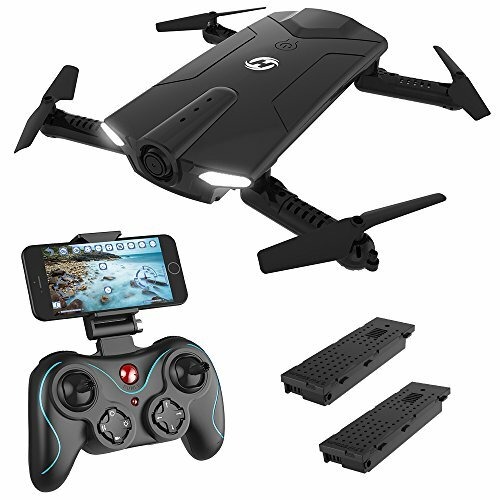 Type: FPV drone, Camera drone, Portable camera. Can control from ground control unit or Smart Phone app. Summary: Holy Stone HS160 Shadow FPV Camera DroneThis Holy Stone HS160 camera drone is great to carry with you. Suitable for any level experience. Model: Holy Stone F181C RC Quad with HD Camera. Target user for Holy Stone F181C RC Quad with HD Camera: People just getting started in aerial photography. Ages 14 years+. This camera drone is better than average durability. Ready to Fly (RTF) drones are coming down in price. This drone is a good example of what would have cost $250 only two or three years ago. The Camera is “Family and Friends” grade, not quite professional grade, but if you are shooting pictures from a range of 20 to 50 feet the quality will be good. Fly indoors or in fairly calm weather outdoors. Battery recharge time: 80 min. Comes with 2 batteries, can run 7 – 9 minutes per battery. 80 min. recharge. With altitude hold you can get some nice pictures of events. Summary: Holy Stone F181C RC Quad with HD Camera: This Holy Stone F181C is great way to learn to pilot a quad copter. Useful in taking pictures of groups of people and events. This quadcopter does not have all of the features that some other quadcopters have. It also is not as expensive as some others. It seems to have good price – performance mix. Target user for Holy Stone HS200 FPV with HD Camera:Appeals to beginner to intermediate class pilots. 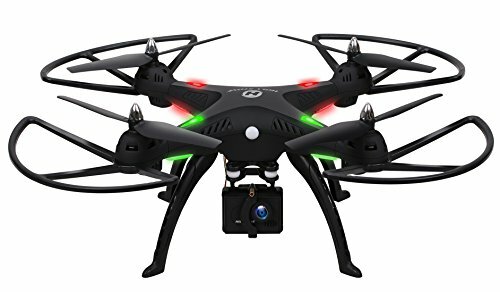 This quadcopter will be interesting to a beginner who wants to shoot “Family and Friends” grade video. Holy Stone HS200 with camera and live feed. Gravity sensor in the ground station, allow the user to control the quad copter by changing the angle of the ground station. Summary: HS200 FPV with HD Camera. Appeals to beginner to intermediate class pilots. Model: HHoly Stone HS110 FPV Camera Drone. 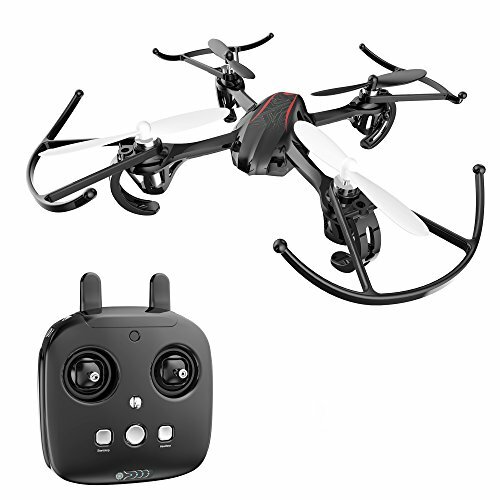 Target user for Holy Stone HS110 FPV Camera Drone: Child 14 years old looking for a first camera drone. The Holy Stone HS110 is a nice first camera drone for a child. The camera is “Family and Friends” quality, not professional grade. Flight time: 7 – 9 min. Summary: Holy Stone HS110 FPV Camera Drone This Holy Stone HS110 is reasonably priced camera drone. The features are oriented toward helping the pilot learn skills. Model: Holy Stone HS230 Racing FPV Drone. Holy Stone HS230 is a racing drone with an FPV camera. The powerful motors in this design supports rapid changes in speed and direction. This FPV drone is designed for obstacle course type racing. No extra features that would not be useful to a racer. Summary: Holy Stone HS230 Racing FPV Drone For the serious racer, if you need an FPV camera on your racing drone, consider this HS230. Nice acceleration and deceleration. Makes quick turns. Model: Holy Stone HS100 GPS FPV RC Camera Drone. 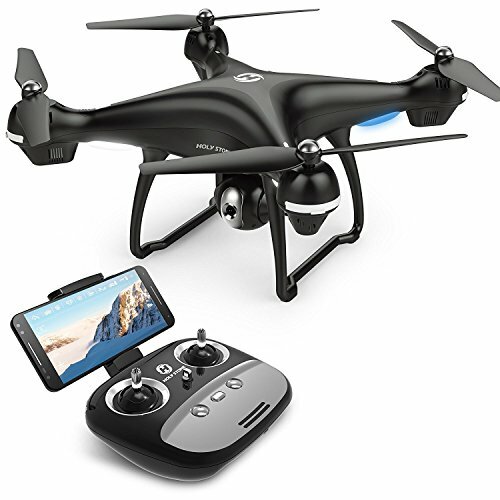 Target user for Holy Stone HS100 GPS FPV RC Camera Drone: People on vacation taking selfies and follow-me pictures and hobby pilots who keep losing their quadcopters. 14 years old+. 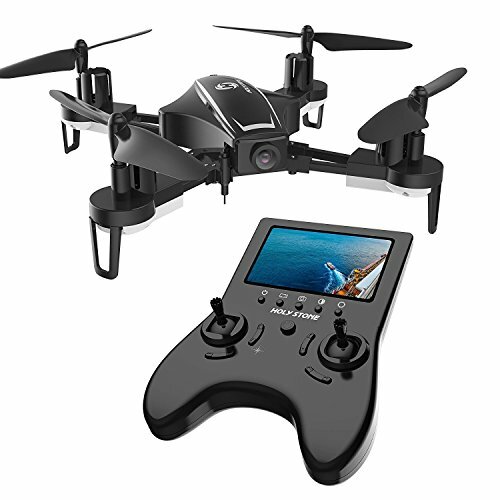 Holy Stone GPS FPV RC HS100 with Camera and GPS is a FPV drone for an intermediate to advanced drone pilot. This drone’s battery provides 12 – 15 minutes of battery life for each battery. The HS100 can be controlled up to 500M, making it Holy Stone’s best performing drone at this time. The automatic return to home feature means that you can safely fly the drone farther than you can see, knowing that it will automatically return to you when it gets too far away to control. Adjustable speed. Speed controls are on the ground control unit. Estimated flight time: 12-15 min. Automatic Return to Home (RTH) on low battery or weak signal or by button on the ground control unit. (Holy Stone transmitter has better range than similar smart phone based controls. App for controlling from smart phones. Has “VR mode”. VR goggles must be purchased separately. Battery takes 3 – 6 hours to charge. Must be registered with the FAA. Summary: Holy Stone HS100 GPS FPV RC Camera Drone This Holy Stone GPS FPV RC HS100 has it all: aerodynamics, battery life of 12 – 15 minutes, Automatic RTH with GPS positioning, gimbal mounted camera. Model: Holy Stone HS300 professional grade camera drone. Summary: Holy Stone HS300 professional grade camera drone Holy Stone HS300 is a bigger quadcopter with a professional grade camera with 120° Wide-angle HD Camera. If you are ready to move up to a better camera from a 720p to a 1080p, you should consider the HS300.You can do more fun things with this model. 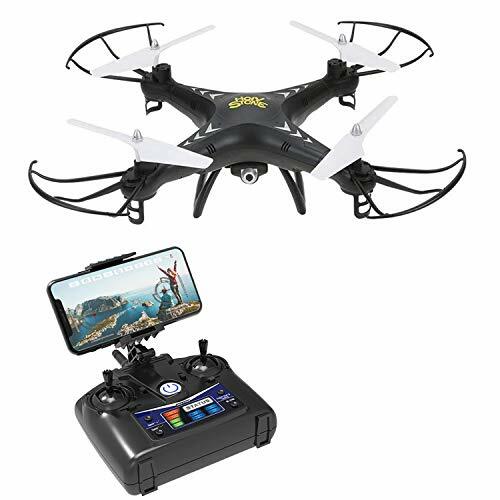 Check out our featured brands of affordable drones.